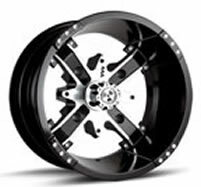 Black painted with machined edges, chrome studs and chrome center cap. 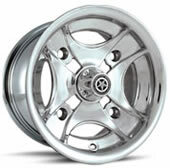 Or, stunning all chrome finish. 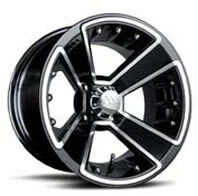 Black painted rim and edges with machined inner. 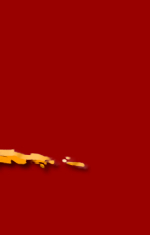 Very lightweight. 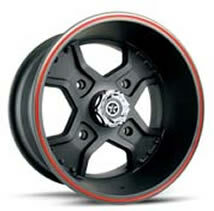 Black painted finish with machined rim and spokes. 8 chrome studs and chrome center cap finishes this wheel beautifully. 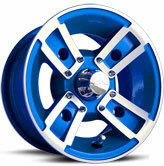 Blue painted finish with machined rim and spokes. 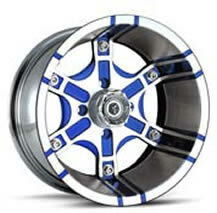 8 chrome studs and chrome center cap finishes this wheel beautifully. Red painted finish with machined rim and spokes. 8 chrome studs and chrome center cap finishes this wheel beautifully. Hand polished for major BLING factor. 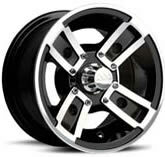 These wheels are stunning to look at and are super light weight. A must as a finishing touch to any road legal! 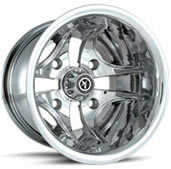 Stunning detail to the finish means this wheel gives a custom look to any machine. 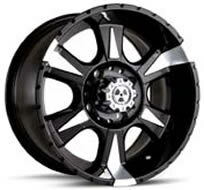 Black painted with machined edges and center. This wheels meen business. 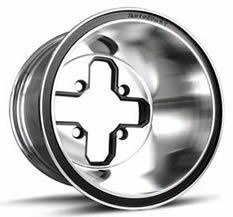 6 spoke wheel machined both before and after powder coating gives a mixture of silver and black detail. The detail of this wheel draws your eyes in deeper the more you look at it. 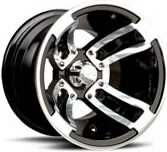 Black machined finish and chrome center cap makes this wheel another visionary master piece from MA, and like all the MA wheels in the range it has the performance to back it up. The detail of this wheel draws your eyes in deeper the more you look at it.Red machined finish and chrome center cap makes this wheel another visionary master piece from MA, and like all the MA wheels in the range it has the performance to back it up. The detail of this wheel draws your eyes in deeper the more you look at it. 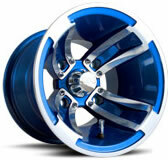 Blue machined finish and chrome center cap makes this wheel another visionary master piece from MA, and like all the MA wheels in the range it has the performance to back it up. Finished in flat black and with looks that turns heads. This wheel is built solid.